This gorgeous, sunny property is the perfect Gentlemanâs Ranch. Over 11 acres of useable meadow entirely fenced with 2 dog runs & an area fenced in white at the 3 stall barn. Pluck a ripe tomato from the Green House with an attached outdoor garden, get fresh eggs from your chickens in the cutest Chicken Coop you can imagine, collect honey from your Beehive, board your horses in the little red Barn, then have a soak in the hot tub! Views from every window, security system, new warrantied well pump, workshop in lower over sized garage, media room and great internet! The home features log trim, stainless appliances, high ceilings with a 2 car attached garage off the kitchen and an oversized garage off the lower media room. 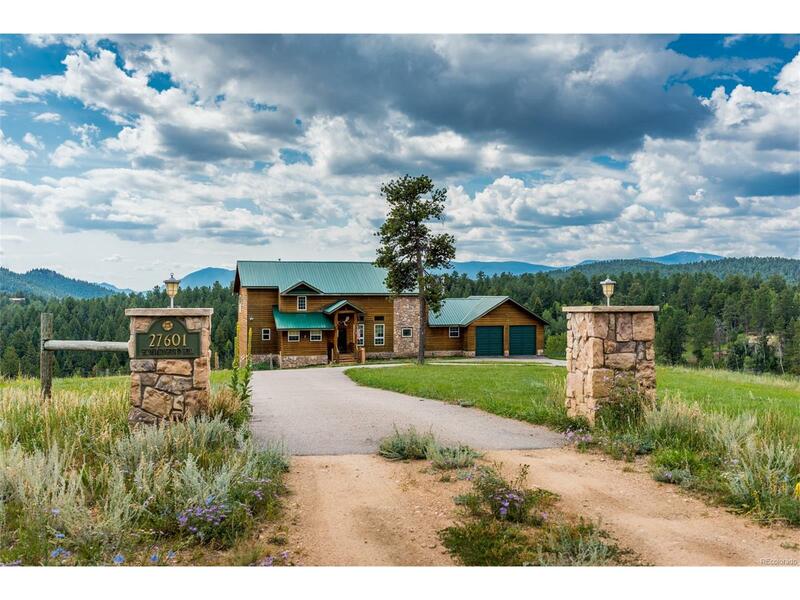 Just bring your animals to this bucolic mountain property at the end of a private road just minutes off of Hwy 285.